On January 29, 2019 at 6:32 am, PG&E Corporation (“PG&E”) filed its petition for bankruptcy relief in the San Francisco Division of the Northern Bankruptcy District of California for Case Number 19-030088. This is the second time in 20 years that PG&E has sought bankruptcy relief under Chapter 11 of the United States Code. This article explains how it arrived in bankruptcy court for both bankruptcies and anticipated events in the second bankruptcy case. In the late 1990's, California deregulated its wholesale electric power market while controlling the price of retail electricity. Enron Corporation and others created shortages to sell wholesale electricity at high prices. This caused PG&E to sell electricity at a loss (retail prices were below wholesale electricity prices) to incur billions in liabilities to these producers. PG&E’s first bankruptcy case filed in 2001 (“First Bankruptcy Case”) was a success even though it took 3 years for PG&E to generate $10.2 billion to pay its pre-bankruptcy liabilities to keep its stockholders’ investment intact. Thereafter PG&E operated a financially stable utility. PG&E’s common stock in the First Bankruptcy Case reached a low of $6.55 in April of 2001. This stock reached its all-time high price of $70.58 per share in September of 2017. In May of 2017, PG&E obtained a strong credit rating from S&P, a credit rating agency. In January 2017, PG&E’s current troubles began when PG&E was found guilty of 6 felonies from a natural gas explosion in San Bruno. In October of 2017, the Tubb’s Fire occurred in Sonoma. This was the worst wildfire in California history, burning over 245,000 acres and 8,900 structures and killing 44 people. On January 24, 2019, California Department of Forestry and Fire Protection (“CAL FIRE”) determined a private electrical system caused the Fire. Since PG&E may still be subject to liability from this fire, PG&E suspended its common stock dividend in November 2017 to retain $1.1 billion per year to fund any such liability. 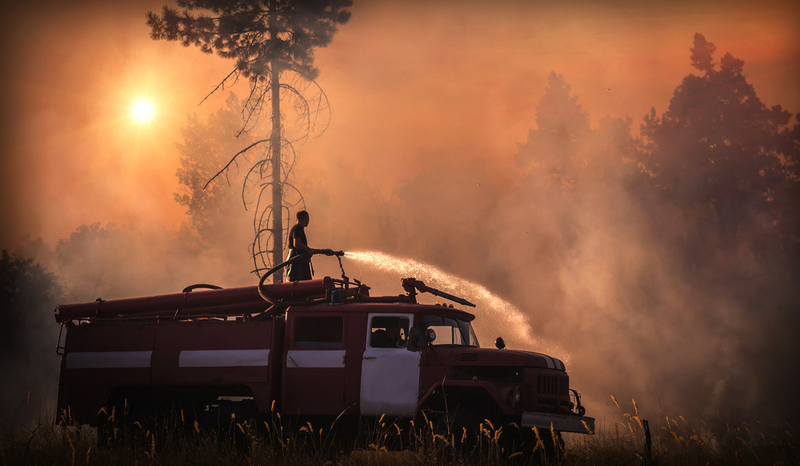 PG&E began a system wide wildfire safety program. California passed Senate Bill 901 in August 2018, to permit California Public Utilities Commission (“CPUC”) to raise rates for a utility to fund its wildfire costs for the Tubb’s Fire in 2017 only. On November 8, 2018, the Camp Fire in Butte County burned over 153,000 acres, 18,800 structures, and killed at least 86 people. The Camp Fire is now the most destructive wildfire in California history. CAL FIRE is investigating what caused the Camp Fire. In response, PG&E borrowed over $3 billion and requested the CPUC to increase electricity prices to fund $1.1 billion of improvements to PG&E’s electrical system and wildfire safety. After the Camp Fire, the CPUC began investigating PG&E’s safety programs. In January 2019, S&P downgraded PG&E’s credit rating to “Junk”. This ended PG&E’s ability to raise money outside of bankruptcy to fund its annual $6 billion in improvements. PG&E’s CEO and other officers resigned. PG&E announced it would file its second bankruptcy case on January 14, 2019 (“Second Bankruptcy Case”). In less than 20 years, PG&E faces a multi-billion-dollar liability that it is unable to pay except through bankruptcy. The difference between the First Bankruptcy Case and the Second Bankruptcy Case is in the latter case PG&E’s liabilities now will take years to be determined and are now unknown; these liabilities are 3 times greater in amount; these liabilities most likely will not be paid in full; and PG&E’s shareholders most likely will lose some, if not all, of their investment. In the last 12 months, PG&E only generated $5.48 billion in cash from its operations. All of this cash was invested in PG&E’s operations. PG&E will need to increase its cash from its operations and decrease its investment in operations during the Second Bankruptcy Case to generate money to pay its known balance sheet liabilities of $28 billion ($8 billion in secured claims and $20 billion in general unsecured claims) and over $30 billion estimated as owed to unknown general unsecured creditors (referred to as unknown genera unsecured claims) for total liabilities – known and unknown – of around $58 billion. PG&E filed its bankruptcy petition in the San Francisco Bankruptcy Court to obtain Judge Dennis Montali to oversee the Second Bankruptcy Case as judge since he judged the First Bankruptcy Case. PG&E will file bankruptcy in California to consolidate its 10,000 lawsuits over its liability for wildfires since 2017 because the Bankruptcy Code gives the bankruptcy court jurisdiction to adjudicate all of these lawsuits in mostly bench trials where the bankruptcy judge will decide these lawsuits. PG&E filed bankruptcy to expedite the time and reduce the cost it takes for the bankruptcy judge to decide these 10,000 lawsuits. Once PG&E files its bankruptcy petition, the Automatic Stay (“Stay”) protects the assets of PG&E from any creditor collection action. The Stay is a temporary injunction granted automatically by the filing of PG&E’s bankruptcy petition. To act against PG&E, a creditor must file a motion for relief from stay with the bankruptcy court and have it granted. Then the creditor only takes acts permitted in the order granting relief from the Stay. A Stay violation is a lawsuit with punitive damages against each violator. The Stay gives PG&E breathing room to earn money to pay its liabilities and to plan on how to do this (called a “reorganization”) because one of the Stay’s benefits is that PG&E no longer has to pay its creditors any money from the time of the filing the bankruptcy petition until a plan is confirmed. Another bankruptcy benefit to PG& is it can sue to recover any payment made to any creditor during the 90 days that occurred just before the day that PG&E filed its petition to avoid any creditor being preferred in payment over another. After the bankruptcy petition is filed, PG&E has to file a complete schedule of the fair market value of each of its assets and liabilities, including a complete list of all creditors with their name, address, phone number, account number, and amount owed. PG&E has to file a monthly operating report that contains a balance sheet, income statement, cash flow statement, and bank reconciliations. The US Trustee assigned to the Second Bankruptcy Case will monitor all of the financial reporting by PG&E and will file motions with the Court to obtain it or have the case dismissed. After the bankruptcy petition was filed, PG&E filed “First Day Motions” to operate their business, such as obtaining court permission to use cash subject to liens, paying employees, paying vendors, and approving the loans. PG&E has a $5.5 billion loan secured by PG&E’s assets to fund the Second Bankruptcy Case that the bankruptcy court needs to be approved on the “First Day”. During the time PG&E will be in bankruptcy, PG&E will have the right to reject contracts that are not cost-efficient for PG&E and replace them with contracts that are. This will be a litigated issue since the Federal Energy Regulatory Commission (“FERC”) has already stated it requires its approval to reject power contracts involving FERC law. The rumor is that PG&E’s renewable energy contracts are not profitable for PG&E. PG&E’s creditors are divided into 3 classes: secured creditors, priority creditors, and general unsecured creditors. A secured creditor holds a claim that is secured by a valid lien in PG&E’s specific property (i.e. collateral). A priority creditor holds a claim that the Bankruptcy Code grants priority over general unsecured claims, such as debts for taxes, employees, and customers. A general unsecured creditor holds a claim that is not a secured claim and not a priority claim. Secured creditors have the right to receive payments from PG&E for the decline in the value of their collateral during the Second Bankruptcy Case. Secured creditors have the right to a bankruptcy court order to force PG&E to make these payments after proving the collateral is declining in value. If PG&E fails to make these payments, then the secured creditor can obtain relief from stay and recover its collateral. This will end the secured creditor’s participation in the Second Bankruptcy Case unless the collateral’s value is less than the secured creditor’s claim. Then the secured creditor will file a proof of claim as a general unsecured creditor for the unpaid portion of the claim by the collateral. The $20 billion known general unsecured claims (and the unknown general unsecured creditors—the fire victims-- once they file a proof of claim) of PG&E’ have the right to form their own committee to represent them in the Second Bankruptcy Case to form the best outcome possible for them. PG&E has to pay the costs and legal fees of this committee. This committee will influence the type of plan PG&E will confirm because these claims are usually altered in a plan. This is almost a certainty to occur. PG&E will operate its business to earn money to pay its creditors. PG&E has several options to earn money to pay its creditors in the Second Bankruptcy Case: (1) increasing revenues by obtaining CPUC approval to raise its prices and to sell more volume of electrical use; (2) cutting costs; (3) selling assets not needed or do not generate profits; (4) obtain loans; (5) sell stock; or (6) sell PG&E’s business. PG&E will be exploring all of these options during the Second Bankruptcy Case. Thus, PG&E has and most likely will seek another rate hike from the CPUC and the bankruptcy court and will cut costs by rejecting unprofitable energy supplier contracts. Since PG&E sold its unneeded assets in the First Bankruptcy Case it is unlikely it will have significant assets to sell in this Second Bankruptcy Case. PG&E has obtained over $6 billion in new loans for the Second Bankruptcy Case. PG&E is unlikely to sell any stock since its price is severely depressed and there most likely be no buyers for this stock until PG&E’s liabilities are all known (i.e. the wildfire claims are all reduced to judgment). PG&E may be exploring right now a sale of its business to potential bidders, which would include Berkshire Hathaway (a major utility owner in the West) and even the State of California. The fastest way for PG&E to end the Second Bankruptcy Case is to sell its assets to a buyer. The bankruptcy court has to approve this sale. The sale proceeds would be paid in the following priority: secured creditors, priority creditors, general unsecured creditors, preferred stockholders, and common stockholders. The Bankruptcy Code’s absolute priority rule requires that each priority class of creditors (and then equity holders) must be paid in full before the next level of priority of creditors (or equity holders) is paid. If there is only sufficient money to pay the secured creditors and the priority creditors (this is the minimum amount to pay to confirm a plan without their consent), then the general unsecured creditors and stockholders would not be paid. This option may be preferred since it would eliminate all claims against PG&E’s assets. The bankruptcy court could require the buyer to pay into a trust for the claims of the wildfire victims for a certain number of years from profits from the assets bought. The slower exit is the path PG&E is currently pursuing: reorganizing under a plan confirmed by the bankruptcy court wherein PG&E pays all of its secured claims and priority claims and pays its general unsecured claims with any left-over cash and new common stock to pay them at least 15% of their claims (at least $3 billion in cash and stock for $20 billion in known claims and 15% of whatever the unknown general unsecured claims from fire victims). Under such a plan, PG&E’s preferred stockholders and common stockholders as of the bankruptcy petition filing most likely lose a portion of their investment or are completely eliminated. This plan may be the only viable option since PG&E is not generating cash flow to pay its known general unsecured claims and has no idea of what the wildfire claim amounts will be until the 10,000 lawsuits are completely litigated. To confirm a plan with the consent of general unsecured creditors, PG&E has to obtain the affirmative vote for its plan of 2/3 of the dollar amount owed to all of the general unsecured creditors (or over $13.333 billion = 2/3 X $20 billion for known creditors and add another 2/3 for the unknown creditor fire victims) as a group in a class and ½ of their number in voted claims. Claims that do not vote are not counted. Creditors and equity holders paid in full are deemed to accept plan. Creditors and equity holders eliminated in a plan are deemed to reject a plan. A blocking position is obtained when a claim buyer or existing claim holder owns over 2/3 the dollar amount owed to the general unsecured creditors as a class or owns more than half the number of these claims in the class. A creditor with a blocking position can force PG&E to pay the general unsecured claims more than PG&E wants to confirm a plan. So instead of PG&E just paying 15% to general unsecured claims, the buyer may demand that PG&E pay 20% to these claims or all of the common stock of PG&E. Because of PG&E’s size, a large investor will most likely purchase a blocking position to have its demands met. If general unsecured claims object to a plan, then PG&E can litigate its plan before the bankruptcy judge to request he confirm it without a consenting creditor vote. This is called a “Cram Down”. This is the only way to confirm a plan without a creditor vote to approve plan, such as a creditor holding a blocking position that objects to the plan. To obtain the bankruptcy court’s approval (i.e. confirmation) of a reorganization plan, PG&E will have to pay its general unsecured creditors at least 15 to 20% of their claim amount. This would require PG&E to pay about $3 billion to $4 billion to the $20 billion of PG&E’s known general unsecured claims (and the same percentage to the fire victims as creditors with a judgment against PG&E in a lawsuit). Most bankruptcy judges do not confirm reorganization plans when the plan pays general unsecured claims less than 15% of their claim amount and the plan keeps the existing shareholders because this is the equivalent of a bargain purchase by the shareholders of a company and violates the absolute priority rule: claims with priority have to be paid in full before junior claims can be paid anything. If you are a creditor with a claim against PG&E or any other debtor in any bankruptcy case, regardless of chapter, or you own a business or have lent to a business for which you want to file a bankruptcy case to reorganize or sell or wind up the business, then contact Dixon Gardner for a free consultation.